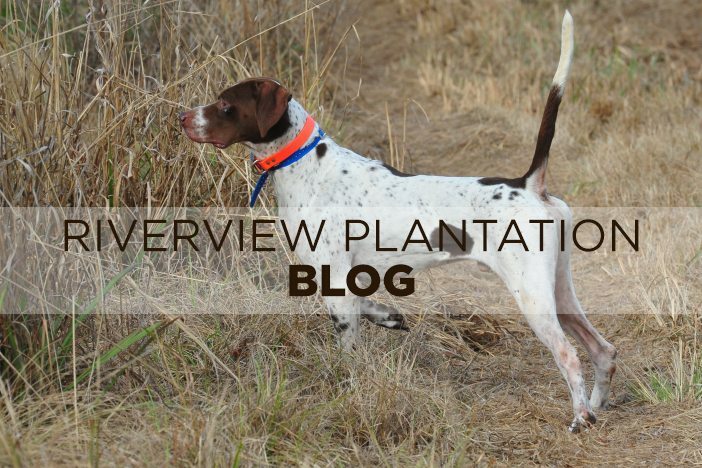 Given the title of this blog, I would much prefer to talk about hunting as our first week has been excellent with great dog work although the first part of the week was warmer than normal for this time of the year. Yesterday and today have been crisp and cool–perfect bird hunting weather. But first, with apologies to my good friend Dr. Ron F., who is adding hospital consulting to his impressive resume, I have to rant a bit about hospitals. As far as I can tell, there is no difference between hospitals and the federal government when it comes to paperwork and screw ups. At least I know that there will always be a market for our pulpwood for paper because we have to fill out a ton of repetitive paperwork at each station. It would seem to me that a central server should have all of the data on file by now. I’m also positive that Martha now knows her name, birthday, and what she is at the hospital for. We were scheduled to have her port implantation procedure performed on Thursday, Oct. 20th at 1:00pm. They placed us in a holding cell with a temperature of about 40 degrees. Martha had blankets on her, but I nearly froze to death. The nurses kept telling us that all of the operating rooms were backed up. However, I strongly suspect that they were punishing my surgeon buddy for opening his on surgical office. They finally took her to surgery at around 8:00 pm. The procedure went very smoothly, and Martha did fine. However, by the time we got out, the SurgiCare outpatient facility had closed; so then the lunacy of hospital procedures kicked in. They would not dismiss her until they could admit her to a hospital room before dismissing her. They had a man’s room available, but no women’s rooms. I never realized that hospitals designated rooms by sexes. We FINALLY got a room, and it took us all of ten minutes in the room for Martha to perform her one chore. I helped her get dressed, and we finally got out after midnight , and arrived home about 1:00 am. We took the back roads home, and I could only drive about 45 mph as we drove through plantation country. I stopped counting deer on the side of the road at 45. I had to make certain that a deer did not decide to commit suicide by car, and damage my wife’s fresh surgery. Oh, did I mention that we had to be back at Phoebe Putney Hospital the very next morning to see her oncologist. I sure am glad that Cader IV and staff runs Riverview much more efficiently than this hospital does. Our English Cockers continue to impress everyone with their sweet dispositions, and flushing and retrieving skills. We certainly have a happier client list than Phoebe Putney Hospital does. If you have not made a reservation yet, I would encourage you to give Cader IV a call. We do still have some spaces available for groups scattered through out the season. We hope to see you at Riveview, and hope everyone is enjoying this fall weather as much as we are here! Season’s End…And, a few funnies! It Is Well With My Soul! Fall is in the Air! I fought the surgeon, and the surgeon won! The sad saga of Fudge, the dog! Sixty years in this business–WOW! Rain is a Good Thing! Sign up today to receive updates on hunting tips, specials and discount weekends.